I know we all have been going through some rough times – someone on Reddit even made a GIF out of it. Nowadays, more than ever, is true that it is useless to watch the price tickers. Do not let the FUD that is being spread around to cloud your judgement. Instead, let’s focus on the developments that truly matters! – Chances are that next time you travel to the US you will have to declare your crypto holdings, because regulations say so. – A lot has been written about the recent statements of the Indian authorities, as it turns out, the complete ban of crypto does not seem to be on the agenda. – Similarly, it won’t so bad with crypto in South Korea either. – There was a really cool conference in Sydney just few days ago, the audience had a chance to hear a great talk on the future technological directions in Bitcoin, by Blockstream’s Rusty Russel. – Amongst others, he talked about Bitcoin Merklized Abstract Syntax Tree – one of the next big things in BTC protocol. – Also, the amount of Lightning nodes is rising! Is it the Bitcoin’s killer app? If you want to play around with it — here is the list of Lightning Network wallets. – These are probably the best infographics on LN out there. – Check out what Nassim Nicholas Taleb thinks of Bitcoin. – A cool new feature by Samourai wallet – now you can send BTC via SMS! – Vitalik wrote an update on transformation to full PoS mechanism that Ethereum aims at. – Nice piece on a few particular projects in the Ethereum ecosystem. – Summary of various approaches to Identity standards within Ethereum. 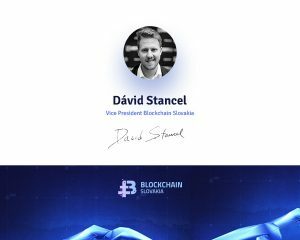 – Oracles, are important part of the blockchain world. So how can we make them decentralized? – New digital collectibles – cryptobots! – Qtum, by many considered one of the most prominent competition to Ethereum, just launched the first altcoin full node into space. – As you may have heard, the 2nd largest crypto hack in the history occurred on Friday, Jan 26. Japanese authorities started to investigate Coincheck for compliance. – One of the DAA managers, at Iconomi, shared his views on the current market situation. – Vertcoin, has getting increasingly more traction, check out their most recent development update. – Nice discussion on understanding of the tokens from a16z. This piece on value, velocity and monetary theory is helpful too. – Augur, one of the more prominent projects in the crypto space, has published its new White Paper! – There is also a new stable coin – TrueUSD -on the block! – Many people are interested in mining – Freedomnode made a nice guide. – VeChain released the first ever Disastery Recovery Plan! Moreover, they did so in cooperation with PwC. – There was an interesting panel on crypto bubble in Davos- Check it out and find out for yourself. – If you plan to do an ICO, this article might be useful for you as it collects data from ICOs from different countries. – Also, some other experts shared their secrets to successful ICOs. – Facebook has decided to ban ICO and cryptocurrency ads because of deceptive promotional practices. One might just wonder when will they ban politicians’ campaign ads. – US regulators have subpoenaed Bitfinex and Tether as the crypto folks wait to see if Tether truly holds $2,3 billion in reserve. – A lot of research is being done in distributed consensus algorithms, folks from Matrix revealed a new PoW/PoS hybrid. – Bitfury launched a new tool for law enforcement agencies and financial institutions — called Crystal. – Samsung has dived into manufacturing of ASIC chips for mining. – New ambitious initiative on the horizon, called Tangem, aims to bring crypto to masses by the means of smart banknotes. – Nice piece on evolution of blockchain platforms.